An epicurean ensemble that will have your entertaining spread ready to impress in just moments. 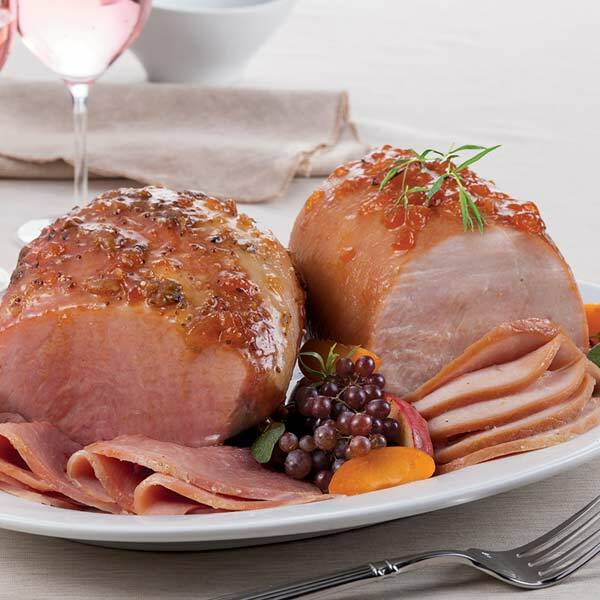 The exquisite Petite Country Ham is hickory-smoked, fully cooked and boneless. Ready to heat up, slice and serve. 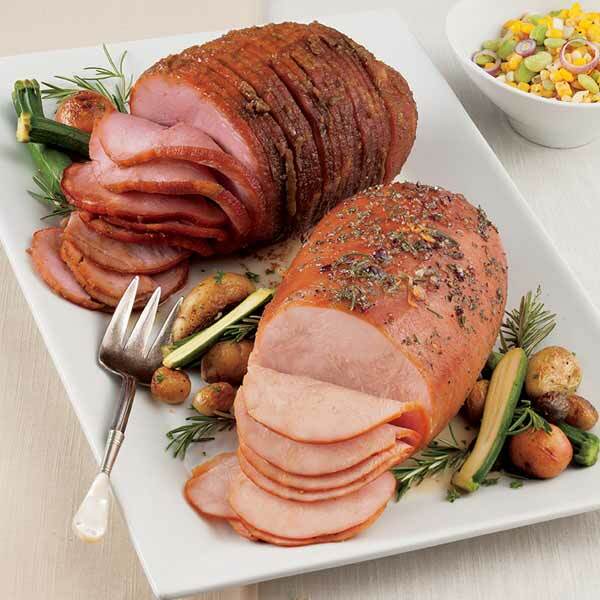 The plump, boneless Turkey Breast is smoked with hickory wood and is so moist and tender you can cut it with a fork. 2-3 lbs. 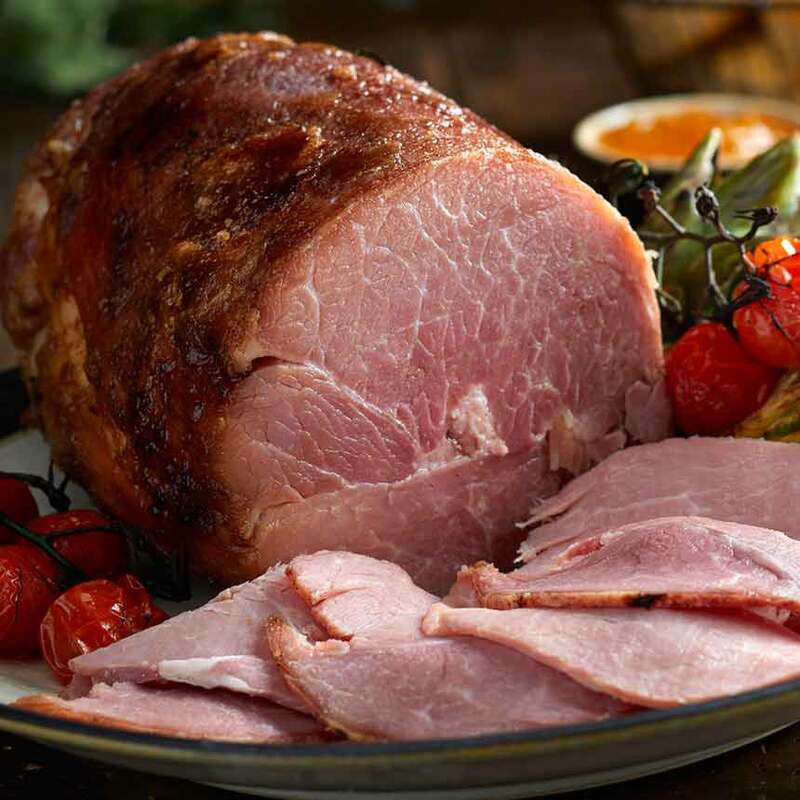 Petite Country Ham serves 18-20. The 3.5 - 4.5 lbs. 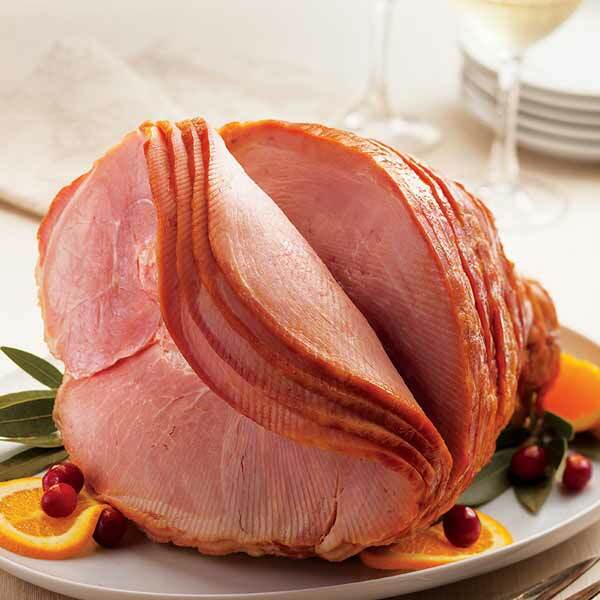 Smoked Turkey Breast serves 18-19. Ingredients: Ingredients: Boneless Turkey Breast, Water, Salt, Brown Sugar, Honey, Contains 2% or less of: Sodium Phosphate, Vinegar, Ascorbic Acid, Sodium Nitrite. Storage: Refrigerate upon arrival. Arrives frozen. Allow 2-3 days for turkey to thaw completely. If not used withing 28 days, freeze for up to 6 months. Preheat oven to 350°F. Remove from the plastic seal and wrap tightly in foil with breast down or place in a roaster with a cover. Heat for approximately 50-55 minutes. Let rest for 15 minutes before serving.